Veteran Sensational songbird Angella Stewart has been thrilling audience for over thirty years with her smooth, melodious tones, hailing from Kingston, Jamaica. 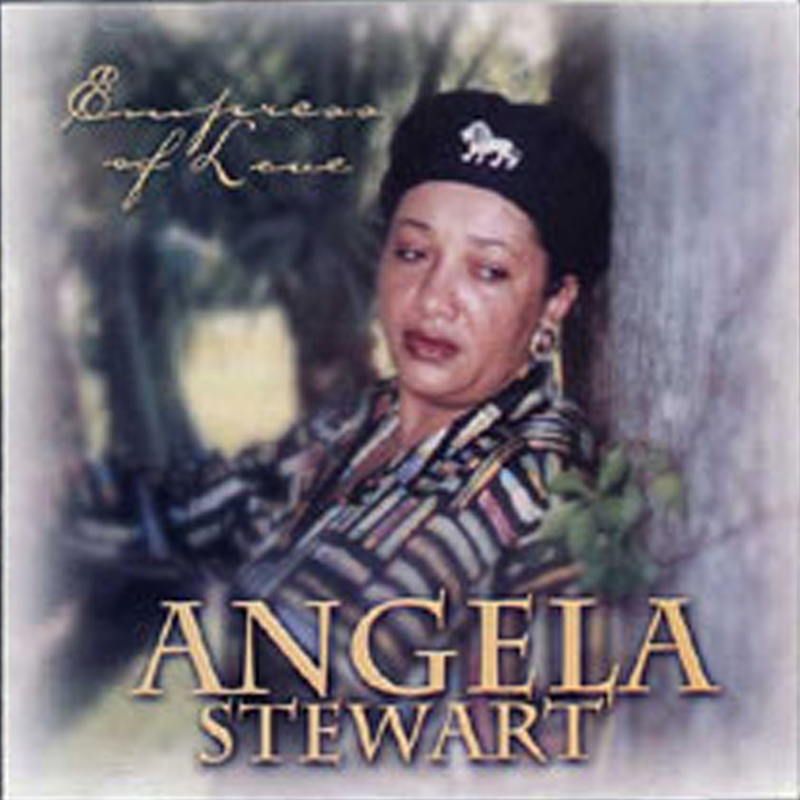 Angella is the ‘First Lady’ of a musical family that includes singer Tinga Stewart, Roman Stewart and the late musician Own ‘Fox’ Stewart. Angella’s outgoing, people-loving personality enables her to reach out and touch the spirit with her songs of inspiration and love. Angella launched her oversea performance career as an opening act for one of reggae’s most internationally successful bands, Steel Pulse at the Sunrise Musical Theatre in Fort Lauderdale, Florida in 1981. Angella has since then continued to tour the globe from Jamaica, Europe, Canada and the United States. Beginning with ‘Ready for the Love’, her first recording produced by U Brown, Angella has worked with some of reggaes renowned producers including John Carol, Willie Lindo, Percy Chin/Jah Life, Owen ‘Fox’ Stewart, Sly & Robbie, Derrick Barnet and Herbie Harris. Her recording credits are two albums; ‘Good Good Loving’ and ‘Teasing’ for Miami Based Calabash Records, with various singles like, ‘Born to Lose’, ‘Could I Have this Dance’, Mother’s of Creation’ ‘Remember that Sunday’, ‘Makes me Love You’ a Christmas Classic ‘Gee Whiz It’s Christmas, ‘Groove Me’ and ‘Feel So Good’ hit the UK charts. Angella also did a splendid cover of Marcia Griffiths (Survival). Angella have worked with artist such as Mighty Diamonds, Beres Hammond, Tinga Stewart and Neville Lindo. Angella’s first international hit, was in 1982 with ‘When Love Comes Knocking at Your Door’ recorded at Dynamic Sound Studios, it rose to the #9 position on the charts in Holland and later it was covered by (Queen Ifrica) and was followed by ‘Breakfast in Bed’ and ‘Just One Look’ which also enjoyed popularity in Europe. Angella won the El Suzie Award, for the Most Promising Female Vocalist Award in 1982, held at the Carib Theatre in Kingston Jamaica. Angella went on to enjoy chart-topping success with her 1984 number 1 hit ‘Moonlight Lover’ which also received Best Love Song of the Year awarded held at the Carillon Branch Hotel by the Reggae Connection of WEDR in Miami, Florida. Her original composition ‘Good Good Loving’ remained at #1 for five weeks on the UK Charts. In 1990 Angella crowned Shabba Ranks the King of the DJ’s at CB Smith Park in Pembroke Pines, FL. 1996 Angella also opened for The Queen of Dancehall (Lady Saw) in Fort. Lauderdale FL. Angella hailed as “The First Lady of Love” enchanted us again with her third album in 2003 entitled ‘Empress of Love’. The 12-track album was launched at the Head Quarter of JAVAA’S Jamaica Vibe in New Kingston, Jamaica. Jah Life Records, her current record label, base in Brooklyn, New York distributed the album world wide. Angella now reflects “I was aboard for a while working with the Calabash Company but I think it is now time to reconnect with my fans at home and all over the world. I do think the time is ripe for more of my music to smooth the heart and souls of the people”. In 2006 Angella tour London with The Ethiopians, Heptones, The Silverton’s, The Melodians, and Big Youth a Foundation Extravaganza an incredible line up and “Blasts from the Past” from Studio One Blvd to Kingston, Jamaica. Angella has performed songs from her extensive discography to live audiences everywhere; she will continue to expend herself ceaselessly as Jamaica musical gift to the world. Angella has blossomed into a stable songwriter, singer and music teacher. Angella say’s” It’s better to be there rather than ask someone how the show was. In 2015 Angella recorded New Single entitles Do It to me One More Time and Take This Heart. THE ALBUM’S GOOD GOOD LOVING & EMPRESS OF LOVE ARE NOW AVAILABLE ON LINE AT I-TUNES & SPOTIFY.